High volume workflow solutions for Cultural Heritage digitization programs. Phase One’s dedicated imaging experts developed an intelligent capture solution built to process high volume digitization programs with speed and accuracy. The iXG Camera System is designed with up to 100-megapixel resolution, industrial durability, and an updated version of Capture One Cultural Heritage software that adds additional value to an already efficient workflow, ensuring accurate recording of the finest cultural artifacts. In combination with a Phase One or Digital Transitions Copy Stand, this capture solution quickly switches between large and small originals, and with a Phase One or Digital Transitions Film Capture Stage, film and glass plates are readily digitized. The configuration of the iXG solutions go hand-in-hand with the Capture One Cultural Heritage software. Highlights of the new Cultural Heritage edition include: Automated capture of negative film, auto-crop with pre-pass optimization and auto-alignment for flat art, books and transparencies; plus robust, ready-made ICC profiles for reproduction. The full integration of hardware with our customized Capture One CH software yields efficient, professional workflow and precision results. There is complete camera control, reliable performance, and expertly crafted RAW conversion algorithms. Tools for auto-cropping and aligning of both documents and books is a huge time saver, as is the automated workflow for capturing negative film. The iXG Camera System uses CMOS sensors in all models to ensure the highest resolution and lowest noise levels. In combination with the ICC profiles of Capture One CH, these sensors produce the most accurate colors and minute details, enabling accurate reproduction for all Cultural Heritage applications. The sensor’s 4:3 aspect ratio maximizes the captured area and is suitable for most common object formats. The iXG Camera System is designed to work hard and to last. It offers industrial build quality, made with aerial-grade aluminum and using the most durable mechanical and electronic components available today. The Reliance Shutter’s longevity offers a one million actuations guarantee. And with the iXG 100MP in electronic shutter mode, you benefit from an unlimited number of shutter actuations. The iXG Camera utilizes integrated flat field optics with the 72mm and 120mm Schneider Kreuznach lenses. This compatibility addresses the needs of flat copy work, particularly useful for libraries, archives, and universities. In combination with the digital lens profiles of Capture One CH, the lenses offer the highest quality in terms of resolution, flatness, sharpness, lack of distortion and color uniformity required for the most demanding reproduction applications. 21mm and 42mm extension tubes are available for close up capturing of film and small objects at higher resolution and are designed and built with the same accuracy and quality as the camera body and lens. With the iXG’s unique capability to accurately position the lens and record its properties, along with Capture One’s Camera Focus Tool, the intuitive PPI Assist feature and precise contrast-based Auto Focus provide an extremely simple, yet powerful way to achieve the highest level of image quality and compliance with reproduction standards such as Metamorfoze and FADGI. Any common copy stand can be used. The margin of error is within 2ppi – well within the specs from both FADGI and Metamorfoze. Combined with other tools, such as Auto Crop, efficiency is further improved – particularly when operated by non-trained personnel, and with large batches of material in standard sizes. 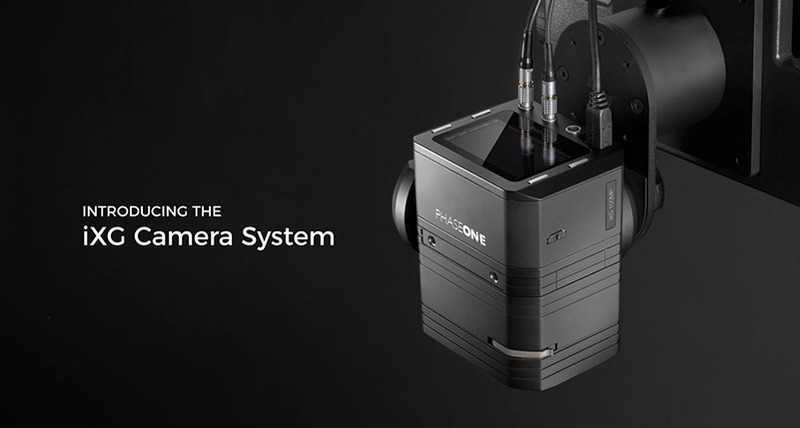 The iXG Camera System and the Capture One SDK are designed to provide an open platform for new imaging applications. For example with the addition of accessory lighting and filtering, the wide spectrum, infrared, and multi-spectral capabilities of the iXG meet the highest standards required. 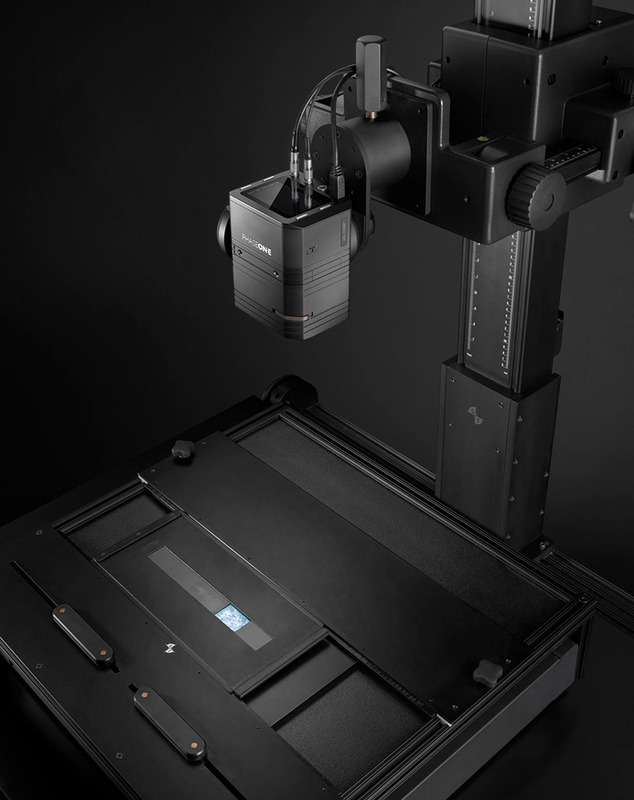 These iXG capabilities and its incredible focusing accuracy opens the door to computational and sequential imaging, required for both multi-spectral and 3D applications. With a capture rate of one image per second, the Phase One Film Capture Kit is up to 400 times faster than flatbed, drum or virtual-drum scanners. 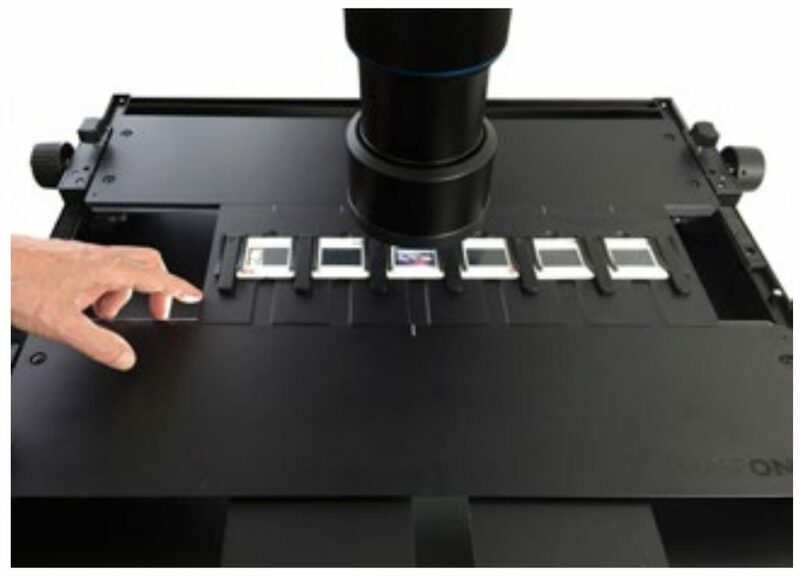 Regardless of the size of the original glass or lm negative or transparency, the Transparency Kit provides a consistent and reliable work ow, ensuring that the highest levels of image quality and accuracy are met. The geared lm stage allows for smooth, light adjustment in two axes and for accurate positioning of material. The various holders are designed so that material can easily and repeatedly be centered under the camera. Adjustable feet provide stability and guarantee that stage and material remain level. The Phase One Film Capture Stage provides an adjustable support mechanism and is compatible with a range of carriers for glass plate negatives as well as most popular lm strip and sheet formats. It can be easily adjusted to position the object directly under the camera. Made of high-grade aluminum ensures longevity and reliability for many years. 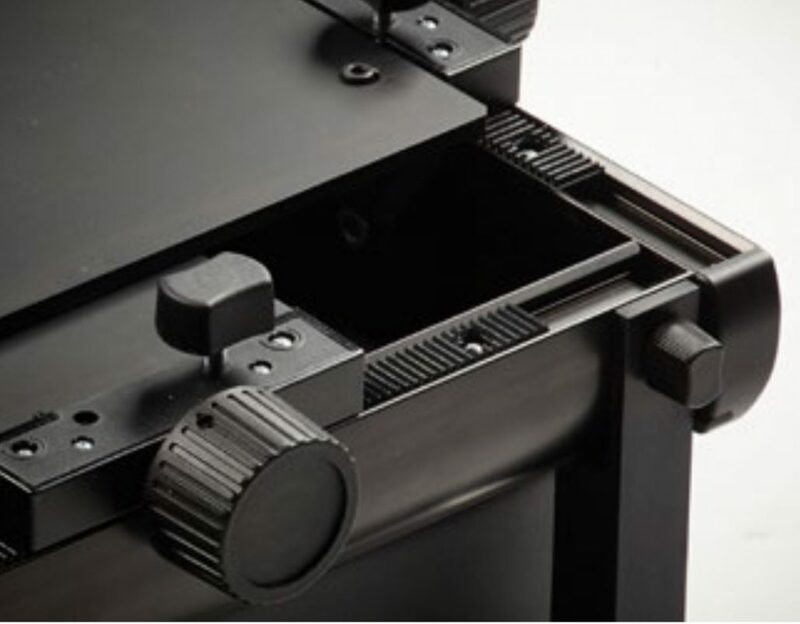 The film carriers, also made from aluminum, are designed to maintain film flatness with minimal amount of stress and easy mounting/dismounting. They gently hold the film’s edges flat and ensure that framing can be kept consistent and accurate.